The good good people over at MTV have blessed us this morning with the first trailer for James McTeigueâ€™s (V for Vendetta) Ninja Assassin. The film is produced by the Wachowski Brothers so you know it's going to be heavy on the high flying wire-work. 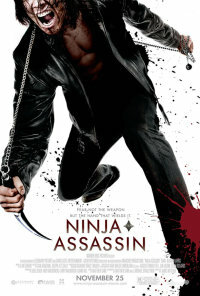 Ninja Assassin premieres November 25, 2009 so enjoy this now, because it's all you're gonna get for a while.